Blue Diamond Stakes winner Written By will be out to regain top form in the William Reid Stakes. Grahame Begg is banking on Written By’s return to racing around a turn proving decisive in the William Reid Stakes at Moonee Valley. A winner of six of his 10 starts, Written By has finished out of the placings three times, two of those down the straight at Flemington. Begg is hoping Written By can use his acceleration around the home turn at The Valley on Friday night to enable the three-year-old recapture winning form. 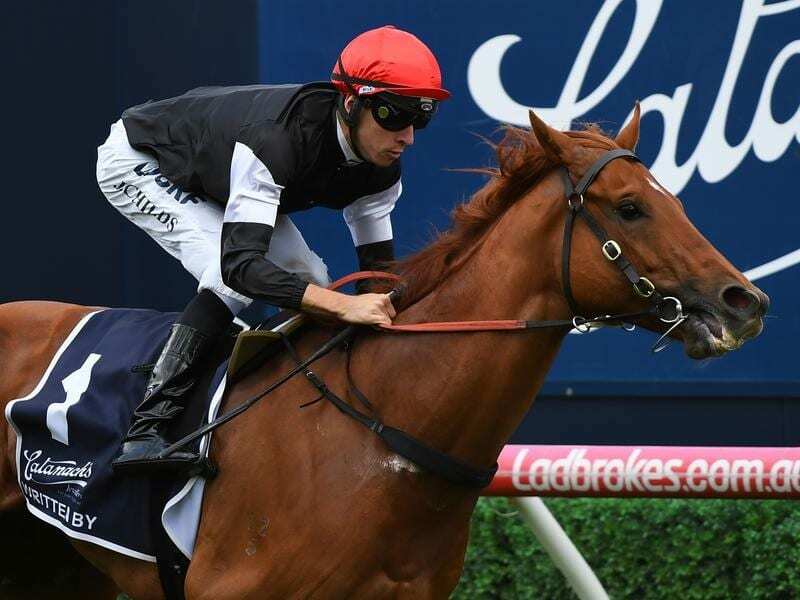 A winner of Melbourne’s premier two-year-old race the Blue Diamond Stakes last year, Written By was last successful in the Blue Sapphire Stakes at Caulfield in October prior to running fourth in the Coolmore Stud Stakes at Flemington. He returned with a first-up second at Caulfield before running sixth to In Her Time in last month’s Lightning Stakes. Begg decided to bypass the Newmarket Handicap to concentrate on Friday night’s race and said the colt’s in excellent shape ahead of weight-for-age sprint. Written By was taken to The Valley last week for a gallop that pleased his trainer. “He enjoyed his trip out to the Valley last week and had a good solid gallop,” Begg said. “He got to chase one and did a good, solid piece of work so it worked out well. “He was a little underdone first-up but that brought him on, but then things didn’t pan out right at Flemington in the Lightning. Sydney’s weather will determine the path for Written By following Friday night. Begg wants to see the rain stop, even though Written By’s a winner on heavy ground the trainer sees him as a better gallop on a firm surface. “The Sydney weather is a bit of a conundrum so it’s a bit of a worry for us,” Begg said. “He’s not 100 per cent happy in the wet, he’s much better of top of the ground, no doubting that.